Analysis: Acer Triton 700 with Nvidia GTX 1080 "Max-Q" GPU? 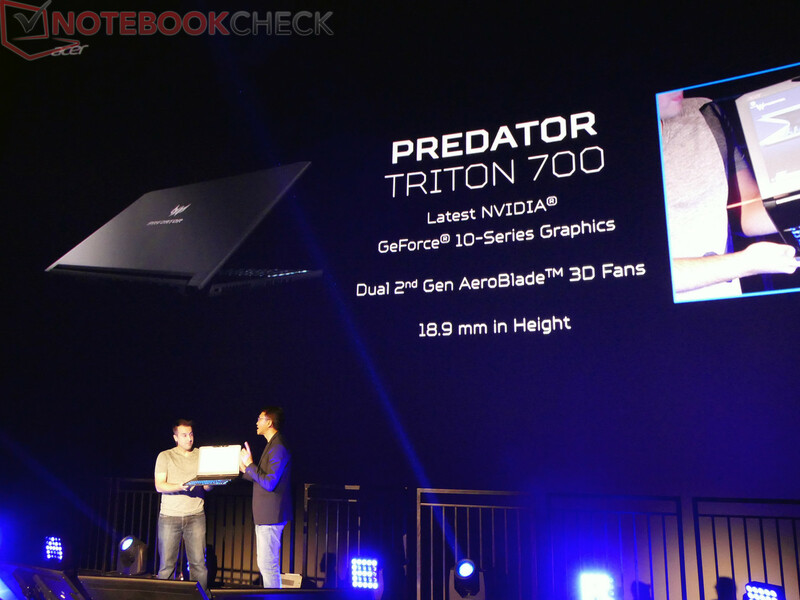 Acer's Triton 700 is a super-slim high-end gaming laptop with graphics performance somewhere in the ballpark of the Nvidia GeForce GTX 1070 or GTX 1080 according to some communicated benchmarks. 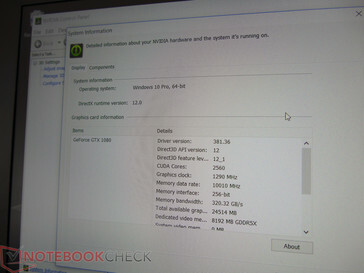 The designation of the GPU, however, is still unknown, and many aspects point to a new GPU. 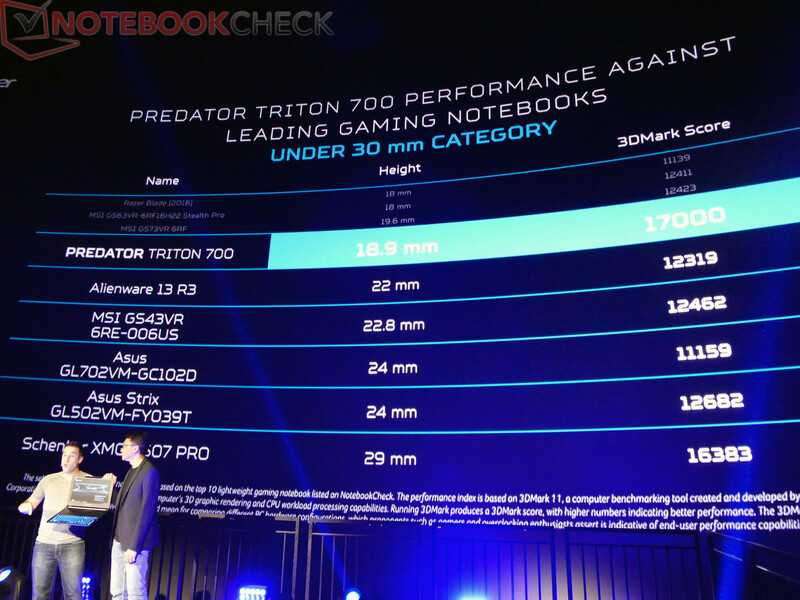 It is almost too good to be true: The new Acer Triton 700 gaming notebook only weighs 2.6 kilograms with its 15.6-inch display and the case is just 19 millimeters high. Competitors offer similarly slim systems, but they are equipped with the Geforce GTX 1060. Such a GPU is unlikely for more than 3,000 Euros though, since GTX 1060 systems currently start at less than 1,500 Euros. The Triton 700 has to offer significantly more performance to justify the high price tag. More details about the Triton 700 were revealed during the recent press conference in New York. The most interesting aspect is the benchmark score for the 3DMark 11 Performance preset. 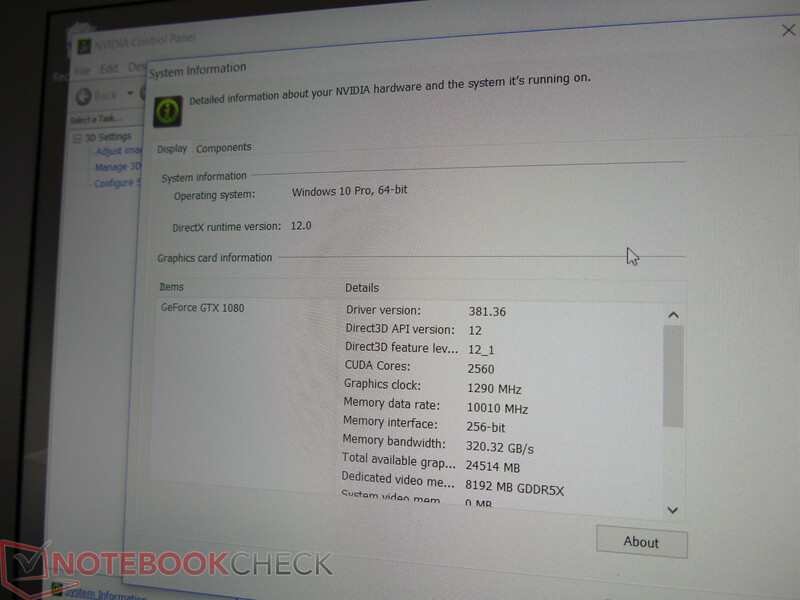 Acer fortunately uses our benchmark results on its comparison charts, which makes the analysis much easier. The Triton 700 with an unspecified "Nvidia GeForce GTX" GPU is compared with our test models of the Alienware 13, MSI GS43VR, Asus GL702VM and the GL502VM in the category under 30 mm. All these comparison devices are equipped with the Nvidia GeForce GTX 1060 GPU. The comparison group is smaller when we look at notebooks under 20 mm, and all the listed models are once again equipped with the GTX 1060. The Razer Blade Pro is not listed on the slides. 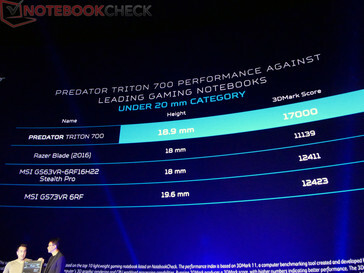 It uses a Geforce GTX 1080, but both the height (23 mm) as well as the weight (3.5 kg) clearly differ from the size and weight specs of the Acer Triton 700. Let's have a look at the 3DMark 11 Performance score: Contrary to the GPU score, the Performance score is also influenced by the CPU performance of the tested system. We can therefore assume the sample is based on a quad-core processor from Intel like the i7-7700HQ to reach such a total score. 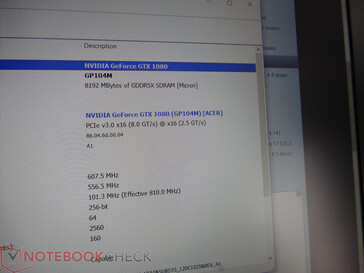 However, one aspect is much more interesting: What kind of GPU do you need for this score? 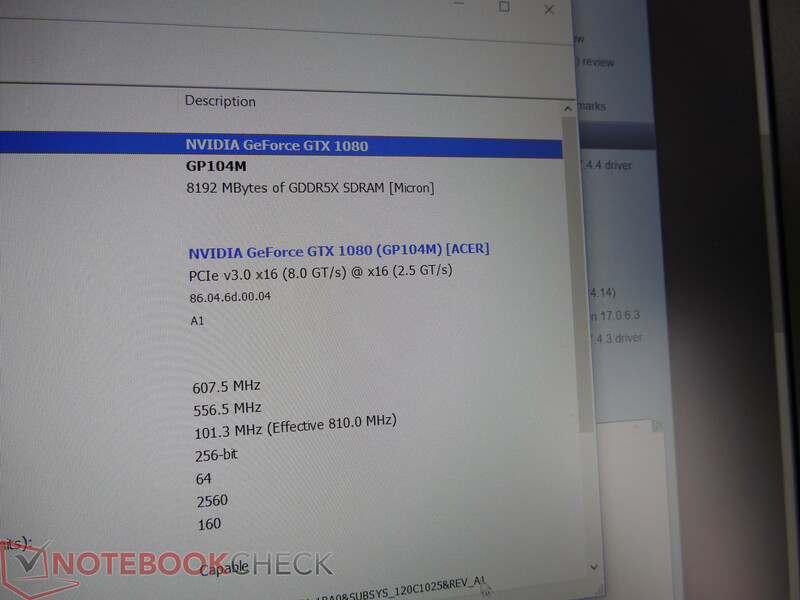 We have numerous benchmarks for the GTX 1070 and GTX 1080 in our database, but they were tested in rather bulky gaming notebooks. The average 3DMark 11 Performance score of a GeForce GTX 1070 system is 16209 points (based on 32 individual results) with a range of around 12000-19000 points. This means the GeForce GTX 1070 would definitely be a suitable GPU for 17000 points on the Triton 700. The problem is the power consumption: The GTX 1070 consumes around 120 Watts and requires the corresponding cooling performance. This is the point where we start to speculate: We have information that Nvidia will announce new graphics chips at the upcoming Computex. The preliminary designation for the low-power versions of the high-end GPUs GTX 1070 and GTX 1080 is "Max-Q". Compared to their regular counterparts, they are supposed to be more efficient and therefore require less cooling performance in combination with slightly reduced performance. The power consumption of the GTX 1070 is supposed to drop from 120 Watts to around 90 Watts, or from 165 Watts to around 110 Watts in the case of the GTX 1080. This would allow the implementation in particularly thin laptops, so the Acer Triton 700 would be a great choice when you consider the price and the announced benchmark score. We tend towards to a Max-Q version of the GTX 1080 at 17000 points, because the benchmark scores are between 17000 and 22000 points (19851 points on average). This means the Acer Triton 700 – equipped with a putative GTX 1080 Max-Q GPU – would be ~15% slower compared to our average score for the regular GTX 1080. The power consumption is significantly lower, so this is a realistic assumption. ...but it was not equipped with final components. 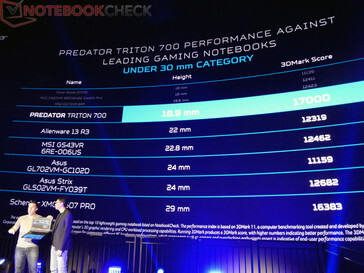 Acer plans to offer two different SKUs of the Triton, which differ in terms of performance as well as pricing. This can be seen as another indicator for the upcoming Max-Q versions of the GTX 1080 and GTX 1070. 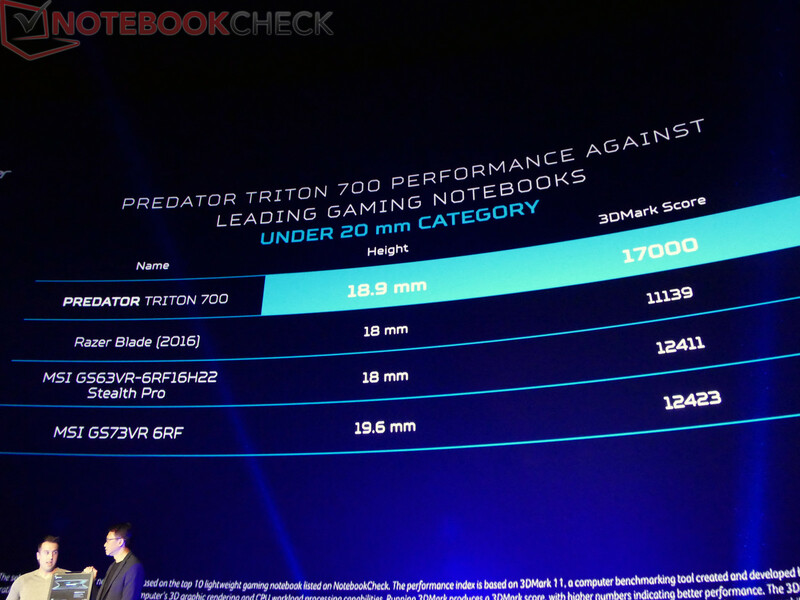 We once again want to mention that these are speculations based on the official specs for the new Acer Triton 700 gaming laptop in combination with additional information from confidential sources. > Notebook / Laptop Reviews and News > News > News Archive > Newsarchive 2017 04 > Analysis: Acer Triton 700 with Nvidia GTX 1080 "Max-Q" GPU?